Loving someone isn’t easy: When we love, we are at our most vulnerable. We give our strong hearts to others, trusting that they will keep us safe and secure, warm and happy. If only love were always a two-way street; if we could only love another if they loved us in return, then life and love would be so much easier. Instead, love has the power to smother us with a barrage of emotions that we can either swallow and try to repress, or accept and embrace. 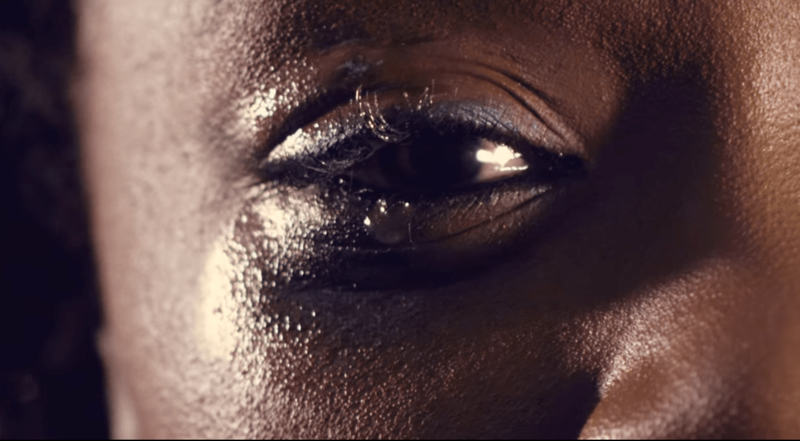 Powerful emotions burn bright on Lulu James’ new music video “Falling” as she sings from the most personal, intimate depths of the soul. The notion that “love hurts” never rang so true – and yet, it seems only natural that we end up feeling the way we do about another. The second single from the Tanzanian-born, England-based artist’s upcoming sophomore EP is a brilliant display of humanity in its rawest form. “Falling” is not so much a love song as it is a falling in love song – it reaches into and out of the pain of love, connecting with the heaviest weights associated with love. James speaks of loss; of insecurity and darkness and solitude. “You may fall in love with him, even though you know he’s elsewhere when you should be with him,” she sings slowly and steadily in the song’s shiver-inducing chorus. James’ words take center stage in the DJ Simbad-produced song, with light pads and bass providing a bed from which James’ voice rises and spreads. We have to hear the words. We have to know their meaning: See the human behind the scenes, kicking and screaming as she cries out – in part, for herself; in part, for others. “Falling is a song of power, courage and self awareness,” says James. “The words just rolled off my tongue, and it all comes from a very honest place. DJ Simbad pulled the magic out of this track by keeping the beat simple and allowing the vocals and harmonies to shine through. We had a great time jamming sounds, but both felt the most important thing was the self motivational message, that this 21st Century soul track offers.” By keeping things relatively simple, James is able to grab at a miraculous set of feelings. Those emotions blaze further on James’ “Falling” music video, which Atwood Magazine is proud to be premiering today. Opening with a teardrop falling from James’ eye, “Falling” faithfully captures the myriad emotions swimming through the lyrics. Pain rests prominent and vivid in the video’s entrance, but gives way to other emotions – including self-love and independence – as the video progresses. Despite being shown at different times, these emotions are not given an order. This is not a stages of grief explanation; rather, “Falling” presents the many sides of one human being. “I decided to make the Falling video a conceptual piece focusing on my different emotions. What ” want to get across through this song and video is that every emotion has its own power, and the only way we can embrace this power is by feeling each emotion,” describes James. Every emotion has its own power, and the only way we can embrace this power is by feeling each emotion. If our love is our own, then so too is the emotion that love brings to us. Love will hurt us – it will undoubtedly scar us – but it is still ours and ours alone. We can do with it what we want – and while that is much easier said than done, and while everyone is going to learn the hard way at some point, hopefully songs like “Falling” will be there to ease the descent. With intimate lyrics and a raw human visual, Lulu James offers a safe space in which the individual may weep, may grieve, may dwell in solitude, and eventually emerge stronger, self-empowered and secure. Atwood is a digital platform that seeks out visionary artists and fresh voices with the goal of promoting the arts. The Atwood team is made up of individuals from all over the world that are passionate about art and innovation. We aim to showcase not only incredible creation, but also the stories behind them. The postings on this site belong to Atwood Magazine's writers alone and do not reflect the views of any third party.